Dystopian, gritty, action-packed novel that’s perfect escapism. After the 1st wave, only darkness remains. After the 2nd, only the lucky escape. After the 3rd, only the unlucky survive. After the 4th wave, only one rule applies: trust no one. Now, it’s the dawn of the 5th wave, and on a lonely stretch of highway, Cassie runs from Them. The beings who only took human, who roam the countryside killing anyone they see. Who have scattered Earth’s last survivors. To stay alone is to stay alive, Cassie believes, until she meets Evan Walker. Beguiling and mysterious, Evan Walker may be Cassie’s only hope for rescuing her brother- or even saving herself. But Cassie must choose: between trust and despair, between defiance and surrender, between life and death. To give up or to get up. Now this is my kind of book! I picked The 5th Wave up after watching the trailer for the movie, but I’ve had it on my TBR list for years. Why have I waited so long? Dystopian, gritty, action-packed, this book had me on the edge of my seat. I felt like I was lost in this book for months, even though it took me just days to read. The depth is stunning and you’ll fall so far in that it’ll take you a while to get used to real life again. I became so deeply invested in this story and its glorious characters that I forgot completely about the world around me. It’s perfect escapism. 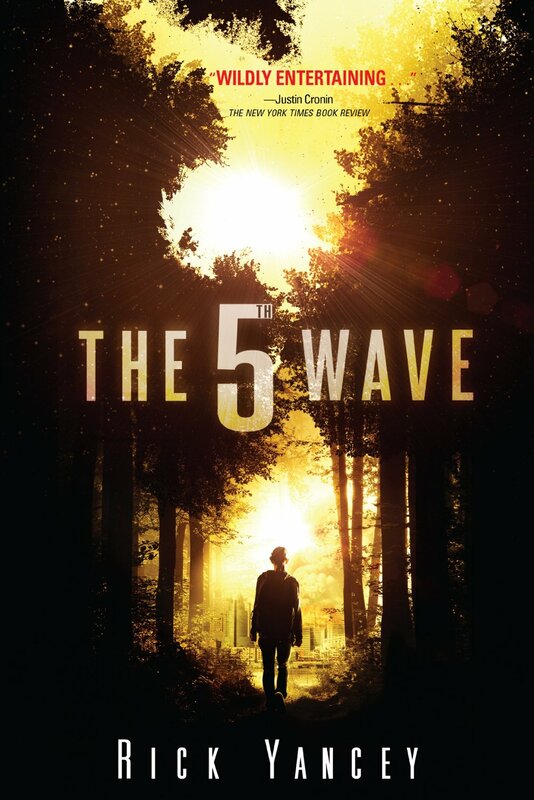 The structure of The 5th Wave is brilliant. It switches between characters and their stories perfectly intertwine. You’ll get to know each character and you’ll feel attached to every one of them. They each have their own vulnerabilities and strengths – I loved how utterly brave little Sammy was, and I thought Cassie’s attachment to Sammy’s bear was gorgeous. I didn’t know it was part of a series until the last page, but I think this book could stand alone. I’m excited to find out what happens to these characters I’ve become so attached to but I also felt completely satisfied with The 5th Wave‘s ending, which is unusual for YA trilogies that usually end on cliff hangers. I’m looking forward to watching the movie to see how it’s been translated for the big screen. Have you read The 5th Wave or watched the movie? Let me know what you thought in the comments section below. Need to get to this. Glad to hear that you enjoyed it! Amazing book, isn’t it? Really glad you enjoyed it. I remember thinking it felt like multiple books in one, as there was so much going on and so many twists and turns. I haven’t seen the film yet; maybe I should re-read before I do!